STYLISH silicone band with adjustable clasp for one size fits most. Includes 15 metal rings with chrome, rose gold or green gold finishing. ‘828’ engraved on ring. WITH A MEANING each ring and colour choice has a meaning to honor the past efforts for equality. 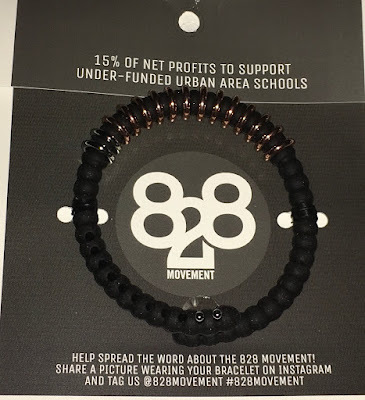 MOTTO: Honor the PAST efforts for equality, support the PRESENT pursuits for justice and attempt to fix the FUTURE by donating the proceeds from 828 Products to schools in need across the country.